MogoBlog MogoLicious Tasty Tip of the Day: You can use any berries you like for this easy yummy cobbler, fresh or defrosted frozen. Fill mug about halfway with chopped berries and sprinkle with a tablespoons sugar or to taste. In a bowl mix 1/3 cup self-rising flour, a tablespoon of sugar, butter and milk to form crust. Top the berries with your crust. Sprinkle a little sugar on top and microwave for 90 seconds to 2 minutes. Add ice cream or whipped cream for extra yumminess. 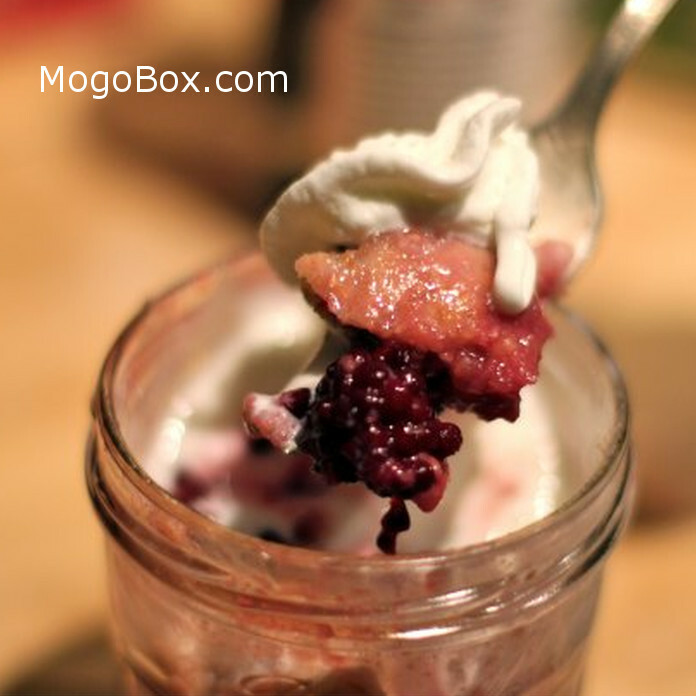 This entry was posted in MogoBlog, MogoLicious and tagged #MogoBlog, Berry Cobbler, Cobbler, Microwave, MogoBox, MogoLicious, Mug Cobbler.